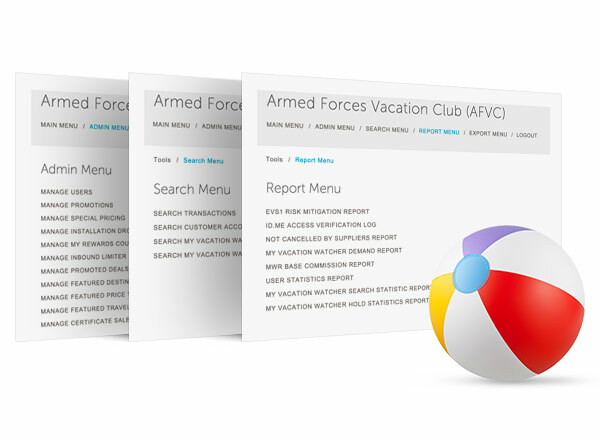 L2 Interactive is proud to announce the recent launch of Armed Forces Vacation Club (AFVC)’s suite of websites. AFVC, which includes AFVClub.com, VeteransHolidays.com, HerosVacationClub.com, and AFVClub.ca provide “Space Available" programs that offer active duty, guard, reserve and retired U.S. military, as well as civilian employees of the Department of Defense the opportunity to enjoy vacations at popular destinations around the world at a deeply discounted rate. AFVC offers memberships to these eligible groups free of charge. 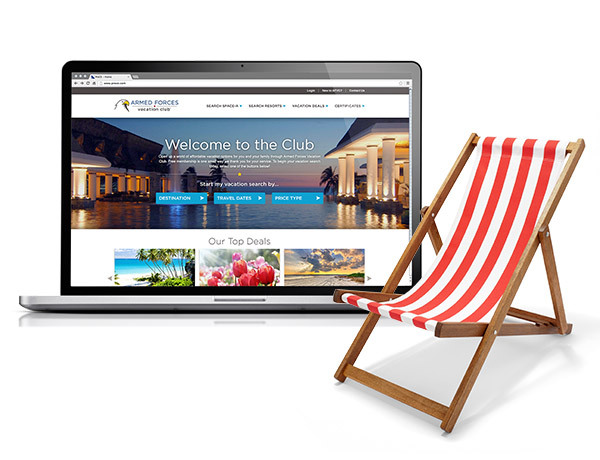 Prior to launch, AFVC sites had not seen a major redesign or upgrade since 2009. With that in mind, L2 worked to improve both the user experience, with new functionality and responsive design, and site management, with a brand-new set of administrative tools. Now, AFVC sees an average of 13,000 visitors per day across all of their sites, and connects more of our military and their families with much-deserved vacation discounts. 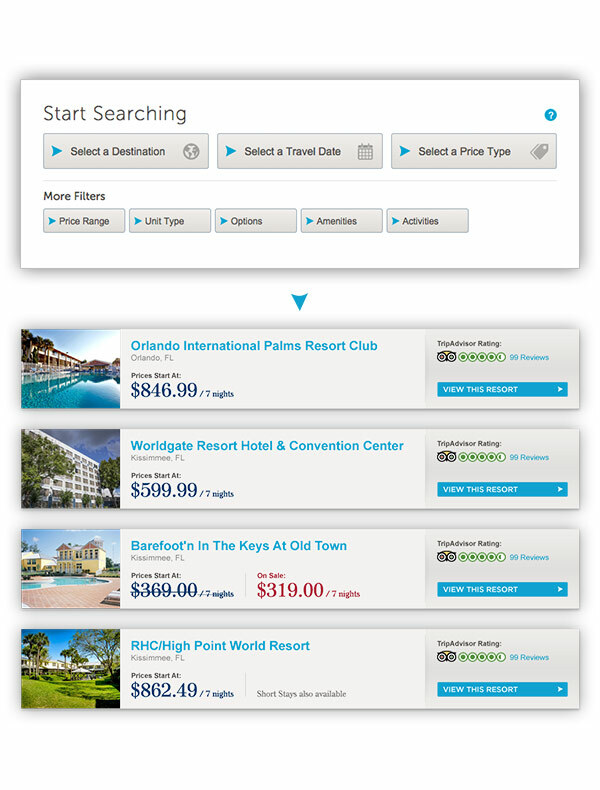 For the member that knows exactly when and where they’d like to go, the all-new, fully faceted search streamlines and simplifies the search experience by delivering real-time results based on the specified criteria. Once a destination is chosen, members can filter their selection even further by unit type, available options, amenities, and activities. 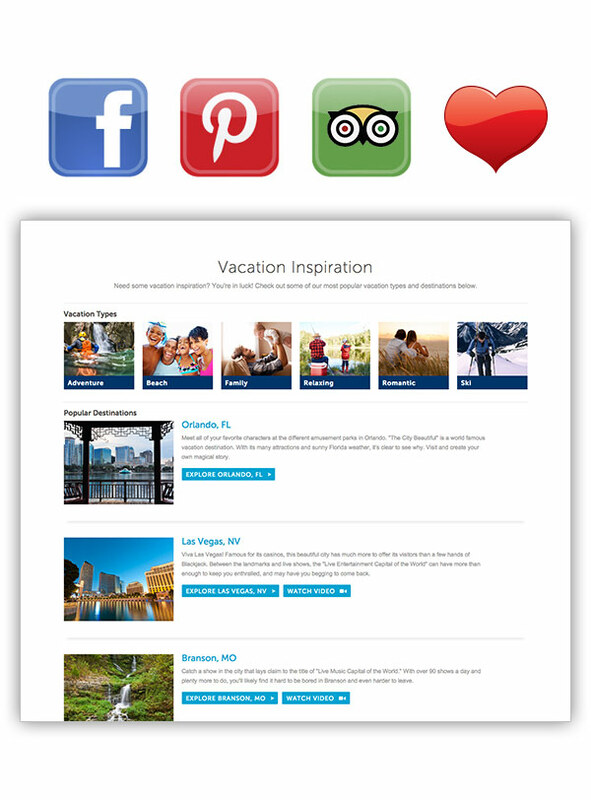 For the member who doesn’t know exactly where they want to vacation, AFVC offers an enhanced suite of travel tools, including Trip Advisor ratings and reviews integration, Facebook and Pinterest integration, the ability to favorite resorts, a vacation planning resource center, featured vacations, and My Vacation Watcher, which allows the member to see when a desired property becomes available. Because many departments and personnel need access to the site’s administrative tools, L2 built an admin system to accommodate varied access levels, tailored them for specific areas of use, and organized them for ease-of-use. AFVC’s Call Center and Finance department can pull reports based off of a wide range of criteria, and search transactions and customer accounts through the Search Menu. At the same time, the Marketing team can manage site data, sales, promotions, and handle user accounts at a higher level of access through the Admin and Site Tool.